At this years Bead&Button Show at the Wisconsin Center in Milwaukee, Wisconsin, meet Kat Wisniewski, the author of New Connections book, get signed copies and buy project kits. She will be demoing a project and signing copies of her new book during the show at the JF Allen booth. At this years Bead&Button Show at the Wisconsin Center in Milwaukee, Wisconsin, meet Kat Wisniewski, the author of New Connections book, get signed copies and buy project kits. She will be demoing a project and signing copies of her new book during the show at the Xuron Tools booth. Xuron tools are a favorite and used throughout the book. 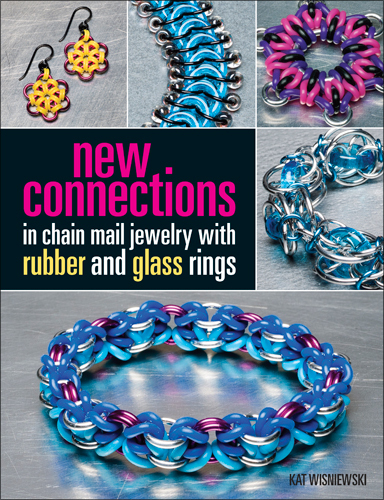 At this years Bead&Button Show at the Wisconsin Center in Milwaukee, Wisconsin, meet Kat Wisniewski, the author of New Connections book, get signed copies and buy project kits. She will be demoing a project and signing copies of her new book during the show at the Kalmbach Publishing booth. At this years Bead&Button Show at the Wisconsin Center in Milwaukee, Wisconsin, meet Kat Wisniewski, the author of New Connections book, get signed copies and buy project kits. She will be demoing a project and signing copies of her new book during the show at the Metal Art Lab booth in care of Wubbers Tools. Wubbers tools are a favorite and used throughout the book. Meet the Teachers reception at the Bead&Button Show at the Wisconsin Center in Milwaukee, Wisconsin. Meet Kat Wisniewski, the author of New Connections book, get signed copies and buy project kits.